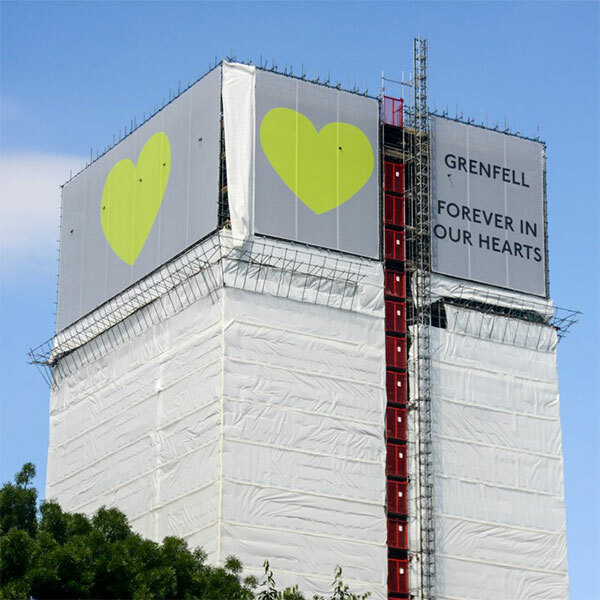 Dr Steve Iafrati reflects on the impact and legacy of the Grenfell Tower fire one year on. Twelve months ago, I remember waking to the awful pictures and news coverage of the Grenfell Tower fire. In the weeks that followed, survivors’ journeys through grief, anger and dismay were played out graphically through ongoing news coverage. And amidst the anguish and trauma of those who survived, politicians made uncomfortable forays into the shadow of a burned out Grenfell Tower to try to show their empathy and make promises to right wrongs. Twelve months later, as the public enquiry begins in earnest, it is an ideal time to reflect on what has changed. This week Theresa May apologised for her response to the tragedy, when she uncomfortably visited the area and chose not to meet with local people or speak with them about their grief. Perhaps her unease can be put down to security concerns or even not knowing how to react to people’s overwhelming pain. To be charitable, her discomfort is something that may be excused and her apology taken as genuine regret. But what cannot be excused is the way in which issues that have emerged in the subsequent months have not been addressed. At such times, politicians have the choice to either make changes or to do nothing, and in the case of Grenfell Tower, the latter seems to have happened. In one of the richest boroughs in the country, Kensington and Chelsea council, prior to the fire, gave council tax rebates to affluent residents rather than invest in safe housing for the poorest and most vulnerable tenants in the borough. And here is the bottom line; the 72 people who died, did so partly because the decision was made to save £293,000 by not using fire resistant cladding. That works out at a tragic cost of approximately £4,000 per life. In the light of such evidence, the fire at Grenfell Tower may justifiably be described as a tragedy, but can we call it an accident? Residents voiced their concerns regarding safety, and still profit was put before people in the context of social housing as aluminium cladding, banned in other countries due to being unsafe, was used to save money. However, even if we overlook the decisions that led to the tragedy to avoid accusations of being ‘wise after the event’, it remains important to ask, could responses after the fire be described as fitting? One year on, politicians have failed to identify how genuine change might occur in the social housing sector. Of other tower blocks in other parts of the country with the same cladding, only 4% have had their cladding removed. Private companies that were involved in the refurbishment of Grenfell Tower are refusing to co-operate with the public enquiry. And whilst this is going on, by March 2018, the then Communities Secretary, Sajid Javid admitted that only 62 of the 204 households displaced from Grenfell Tower had been placed in permanent accommodation. The government’s target of rehousing all residents within a year has now been missed, in a borough that has over 1,600 empty homes and over 9,000 homes that are ‘usually empty’, many bought as investments. Twelve months on, the danger is that Grenfell Tower will be treated as an isolated one-off tragedy rather than recognising the context in which it happened. Genuine progress should be measured by the development of a national housing strategy to address how the balance between financial return and social return on housing has shifted too far away from the needs of the poor, the new arrivals and the marginalised. In the shadow of Grenfell Tower, social housing should no longer be treated as inconvenient and unwanted, where profits are put before people’s needs.